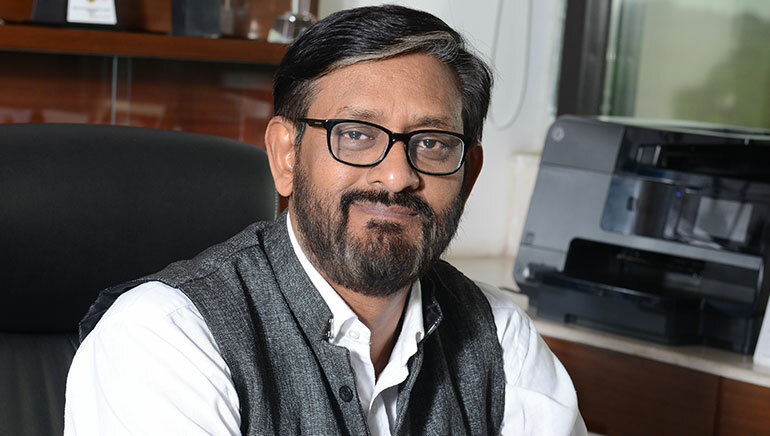 Having earned his BTech and MTech degrees from IIT Delhi and a Doctorate from University of Toronto, Dr. Jitendra Das chose to further pursue his passion into academics – after gathering first-hand knowledge on corporate working while working with Wipro and the DCM Group – by teaching management courses at some of the most prestigious management institutes in India. His august stature in the realm of education can be judged by the fact that he has taught several marketing subjects at IIM Lucknow, IIM Ahmedabad, IIM Kozhikode, SP Jain Center of Management at Singapore, and the Business School of the University of Danube at Krems, Austria. In addition, he holds the distinction of being the Founder Dean of the IIM Lucknow-Noida Campus. He has ensured transparency and high ethical practices in his institute as he firmly believes they are the key elements of any institute’s success. Through these values, he has further created personal, departmental and procedural success for everyone in his institute. With a total corporate and teaching work experience of more than 30 years, he completely understands the structural and marketing pulse of the corporate world, and prepares his students to take any challenge head on by learning and practicing on the latest and a wide range of application software that are available at his institute. Harvard/IIM case discussions, interactive lectures and simulations in the classroom, live projects, and industry & rural visits are just some basic tools that he has introduced for his students, thus creating a well-built structure for them and making them strong-yet-flexible and high on emotional quotient to face the highly competitive corporate world. Of course, the students are taught to become competitive on a strong base of work culture and values. Understanding the responsibility that has been bestowed on him in the capacity of Director of FORE School of Management, he has always endeavoured towards establishing only the highest standards and benchmarks for his students and other management institutes by instilling the “FORE first” attitude in every aspect of the institution. To ensure best results for his students, he has been personally involved in constructing a conducive academic & right learning environment in his institute, through which highly skilled MBA graduates are produced possessing great analytical abilities and contemporary knowledge about the ever-changing new business environment. Dr. Das has focused on creating a complete learning environment for his students, to help them excel and bag the best corporate packages and companies, often surpassing the other premier B-schools of the country and even Indian Institutes of Management. Under his guidance, FORE School of Management has been consistently offering to its students excellent infrastructure, and administrative & pedagogical software, which is equivalent or better than the best B-schools in India. The world-class approach at the institute, in terms of offering its students the highest quality of education and a technology-driven experience, has year-after-year inspired its students to perform competitively compared to other top B-schools. As a result, not only the industry has responded favorably, but the students have also been focusing on starting their own entrepreneurial ventures instead of following the herd and accepting lucrative offers of placements.